In this Jan. 28, 2015, file photo, Amazon founder and Washington Post owner Jeff Bezos delivers remarks in Washington, DC. 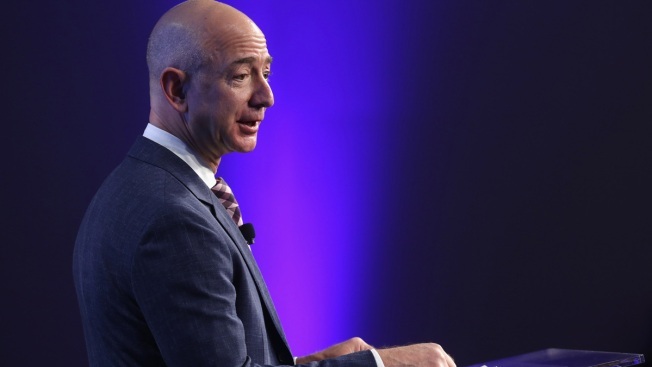 De Becker's investigation concluded "with high confidence that the Saudis had access to Bezos' phone and gained private information"
Saudi has previously denied having anything to do with the National Enquirer's coverage of Bezos. The Saudi embassy and AMI could not be immediately reached for comment. WSJ reporter breaks down how the National Enquirer got Bezos' private text messages and photos from CNBC.